Do you need dessert for tonight or a last minute gift for someone? 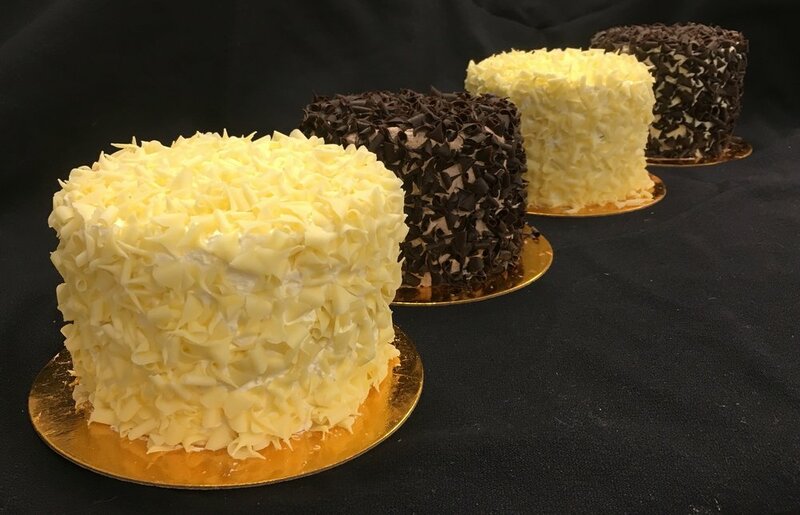 Stop by for one of our 4" Mini Cakes or call to reserve your favorite flavor to ensure availability. Our decadent mousse as a frosting and dark chocolate or white chocolate curls are unique to the Minis. No customization is available for these tiny delights. Each month has its own unique flavor!